So why is it that roughly 75% of our clients choose to work with us in some capacity to create their wedding stationary suite? We are able to deliver truly one of a kind pieces for our clients, ones which others will wish to replicate, people will talk about, and ones which leave guests drooling for more! While we often create ensembles ourselves, we do work with some of the most talented in the industry to pull together others. Here is an example of a recent order, which has landed itself in guests' mailboxes last week! They are jaw-droppingly gorgeous if I must say so myself! This absolute stunner involved not one, not two, but EIGHT suppliers and vendors to create. Talk about a lot of moving pieces. Under the direction of Ashley, the insanely talented and sought after designer behind Smashing Cards, these pretties came to life. Ashley's work has been featured in more places than I can count, including Inside Weddings, Ritzy Bee, Southern Weddings and more! 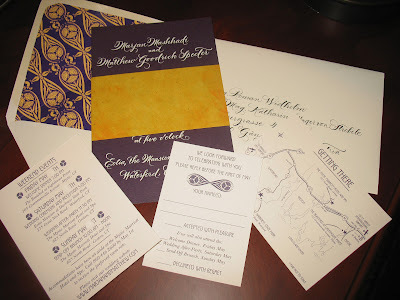 Debi at Blooming Quill hand calligraphed the wedding invitation, the reply envelope, return address and all of the guest envelopes beautifully. Smashing Cards designed all of the insert cards and envelope liner as well as spearheaded the entire project. Stocks were ordered from Envelopments, of which we are a dealer, as well as Paper Source for the beautiful handmade lokta wraps. The map was designed by Australian based Moments of Color. The envelope liners were printed by Vistaprint and the entire invitation suite was engraved by Reaves Engraving. We were able to put the finishing touches on the assembly and drop these stunners in the mail. Can you get more gorgeous than these??? So who doesn't love everything J. Crew these days? I swear, ever since Jenna Lyons took over as Creative Director we all went from long time fans to die-hard fans. So it is no surprise that I am loving their Augusta peep toe heels, in Easter colors nonetheless! My feet are happy just looking at them. How about yours? 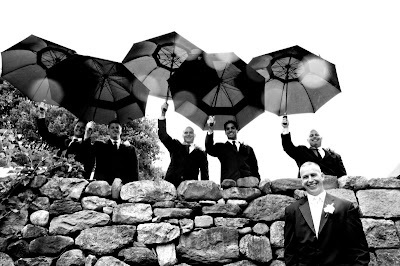 In honor of April 1st and it's associated rain showers, here is a blog post devoted to fabulous rainy day weddings and umbrellas shots! 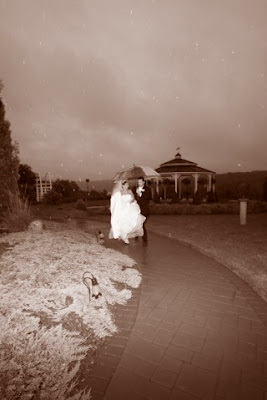 I know, I know, everyone prays for good weather on their wedding day. But hear this, rain is soft, rain is fresh, rain is romantic, rain is known as "good luck" and . . . . rain can make for some killer photographs. See for yourself!